Tomato soup is a soup made with tomatoes as the primary ingredient. 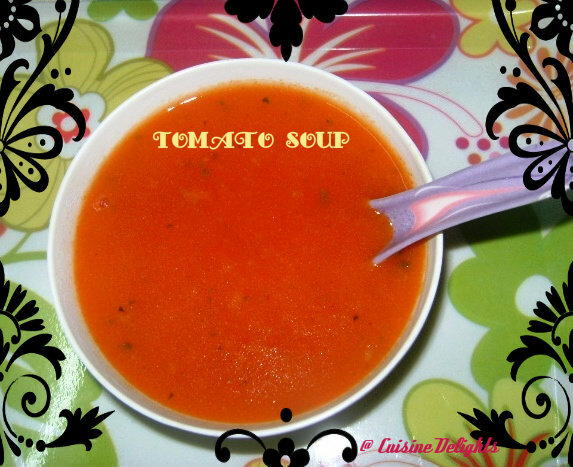 I love soup at any time of the year but particularly in winter.I could say it's a comfort food on cold winter mornings as they warm up from inside. It may be smooth in texture, and there are also recipes which include chunks (or small pieces) of tomato, onion, garlic and vegetable stock. 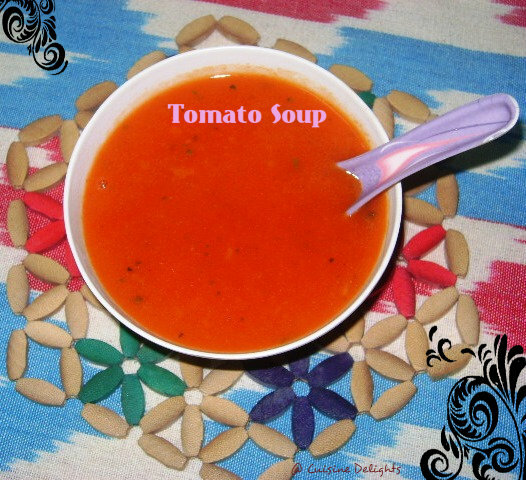 Popular toppings for tomato soup include sour cream. 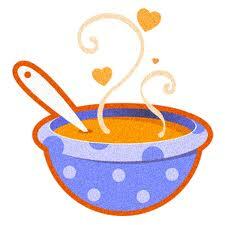 Hence i just love winter and soup. So today's recipe is a very easy tomato soup which is my all time favorite soup. Melt the butter in a saucepan, add cumin seeds, garlic and peppercorns to it and fry for 30 seconds. Add the roughly chopped onions and fry for 1 minute or till it turns pink, do not fry golden brown. Cool and then blend it in a mixer to get smooth puree. Transfer the mixture to saucepan and add 3 cups of water, turmeric powder and salt and mix well. Bring it to boil, switch off the flame. Spread some crashed peppercorn on it. Serve hot.